Comedian and actor Stephen Fry?s witty and practical guide, now in paperback, gives the aspiring poet or student the tools and confidence to write and understand poetry. Stephen Fry believes that if one can speak and read English, one can write poetry. In The Ode Less Travelled, he invites readers to discover the delights of writing poetry for pleasure and provides the tools and confidence to get started. Through enjoyable exercises, witty insights, and simple step-by-step advice, Fry introduces the concepts of Metre, Rhyme, Form, Diction, and Poetics. Most of us have never been taught to read or write poetry, and so it can seem mysterious and intimidating. But Fry, a wonderfully competent, engaging teacher and a writer of poetry himself, sets out to correct this problem by explaining the various elements of poetry in simple terms, without condescension. Fry?s method works, and his enthusiasm is contagious as he explores different forms of poetry: the haiku, the ballad, the villanelle, and the sonnet, among many others. Along the way, he introduces us to poets we?ve heard of but never read. 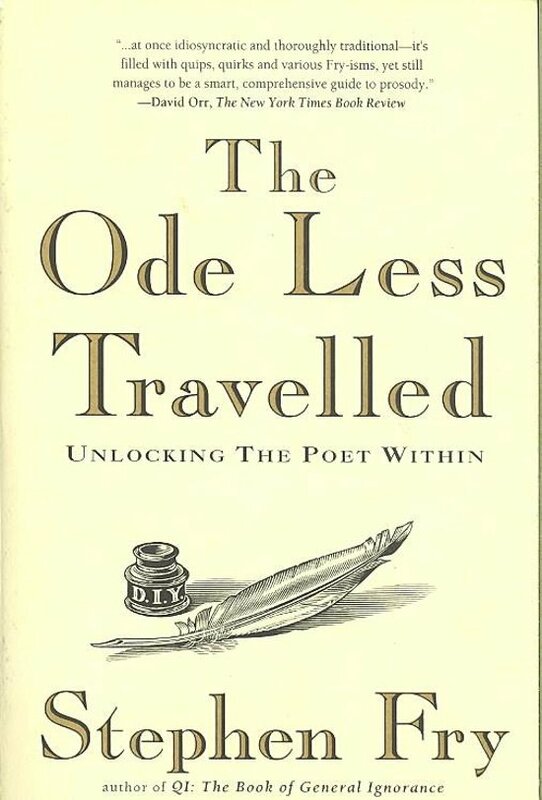 The Ode Less Travelled is not just the survey course you never took in college, it?s a lively celebration of poetry that makes even the most reluctant reader want to pick up a pencil and give it a try.